The season of Lent is upon us. Tomorrow begins the 40 day journey. As I offer you this post I (Fred) must say on the front-end that it was inspired by my friend Chris Morton, a church planter in Austin Texas. In his post (from which I borrow) he offers a good explanation as to why Lent can be a beneficial spiritual practice as we prepare for Resurrection Sunday. However, I will also offer some personal reflections. Lent is a traditional fast that has been practiced by Christians for many centuries. The purpose of Lent is to prepare oneself for the celebration of resurrection. Through fasting and prayer, one experiences a small sense of Jesus own journey toward the cross. In a world bent on fast paces, instant gratification and limitless choice, the practice of Lent allows us to meditate on our limits and catch our breath. With our tendency to succumb to such a culture we are reminded that we desperately need divine resurrection and the divine breath of God, the Holy Spirit. Lent is one of the oldest known celebrations of the church, first mentioned in the second century by an early Church Father named Ireneus. Although it’s practice has varied in terms of length, it has always been focused on providing an opportunity for self-examination and repentance in preparation for Easter. Initially the practice was a strict fast of 40 days. Over the centuries it was relaxed to specific dietary restrictions. In recent decades, the practice has been limited to giving up something specific. Purposefully study scripture. Try the practice of Dwelling in the Word (go here) or Lectio Devina (go here). This is a powerful way of reading Scripture, or better yet, allowing Scripture to read you. Practice this in some form of christian community, whether with your missional community or your family. Practice a fast by giving up something that will hurt. This could be an unnecessary habit like coffee or chocolate, or a few meals a week. Each time you reach for that something you will be reminded as to why you will not indulge. At that moment, remember Christ, His life, death and resurrection. Meditate in hope of the life He has given you as a citizen of His kingdom. Set aside time every day to meditate and reflect. Ask God to make you aware of how short life is, and how to better take advantage of it. Or click here for a variety of ways to practice Lent. Like many Church practices, Lent is not directly commanded in scripture. However, it can be a valuable opportunity for spiritual formation. Personally, I have found it helpful to observe the Christian calendar in order to cultivate a deeper rhythm of life. I am learning that my life needs to be organized by more than my occupation or the things society promotes. Setting aside days and weeks to experience the reality of life in God’s kingdom has proven to be most helpful in my life. Lent is a useful tool for learning how to do that in what I believe to be a very special season. While everyone will experience this season differently, we hope that it will be transformative for everyone. As a Church we have practiced Lectio Devina several times in our large worship gatherings on Sundays. We do so in a rhythm, practicing it at least once per quarter together. We also practice Lectio Devina in our missional communities (Life-Connections groups), women’s ministry gatherings and other various gatherings. Lectio Divina means “Divine Reading.” This method of reading Scripture comes from our Benedictine traditions. This is not a theological analysis of Scripture. It is simply about reading and reflecting with the desire to commune with God while trusting the words of Hebrews 4:12-13 & 2 Timothy 3:16-17. 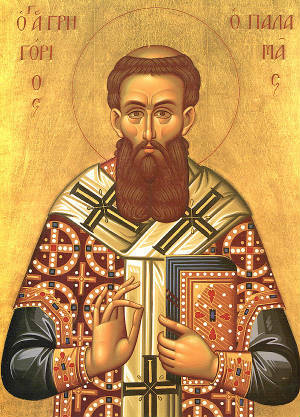 The roots of Scriptural reflection and interpretation go back to a Church Father named Origen in the 3rd century, after whom St. Ambrose taught this approach to St. Augustine. The “formal” monastic practice of Lectio Divina was first established in the 6th century by Saint Benedict. It was then formalized as a four-move process by the Carthusian monk, Guigo II, in the 12th century. There are four basic moves in Lectio Devina. They are called moves and not steps, because it is not intended as a four-step linear process. I encourage it you to view it as a movement between states of awareness. Let it each move be a natural progression. Get into a comfortable position and begin with silence before God in preparation for you heart to listen. Now read the text out loud. Savor each word. Listen for a particular phrase that speaks to you. Ask God, “What word or phrase do you want me to hear today? Read the text out loud again. If in a group, allow someone else to read it as a different voice provides a different experience. Slowly repeat the phrase that seems to be for you while I read the passage again. Think on it. Take a moment to reflect. To yourself, speak to God in words or images what He put on your heart. That response may be confession, thanksgiving, joy, or even pain. If in a group, share aloud your response to the aforementioned question. If alone, talk with God in prayer. Simply rest in silence in God’s presence, meditating on this experience with His Living Word. This is a practice we have not only engaged a few times in our large worship gatherings on Sundays but is one we embrace throughout WCC’s missional communities (Life Connections groups) once a month. Dwelling in the Word is a spiritual practice of reading and dwelling in the biblical text with an openness to be formed and transformed by the living Word. This practice is a unique way of allowing God to speak to us both individually and then communally. Dwelling in the Word values listening deeply to God and to one another. We read for spiritual formation by coming to Scripture and allowing the text to engage our lives and address us, as we are encountered by the God who still speaks. In an information saturated culture, we must know that there is a difference between approaching God’s Word through informational reading and formational reading. Many Christians are unfamiliar with approaching God’s Word for formational reading, so it may be new and perhaps awkward at first. But as we dwell in God’s Word in community, we open ourselves to what God may be saying to us in and through a text. This has been the testimony of many in our Life-Connections groups. We dwell in God’s Word to gain new insights and understandings — not seeing only what we heard or read about a particular text or what we think we know about it. We read and listen to the Scripture text aware of God’s presence — not reading quickly and unconsciously. We desire to be shaped by God’s Word — not control God’s Word based on our desires, wants, or needs. We become humble servants of the text — not masters of it. We benefit from and need a variety of ways to approach God’s Word. The Spirit of God has the power to transform our lives in whatever way we approach the Scripture. Dwelling in the Word within the context of community invites the Spirit to penetrate to the innermost being of our personal and communal lives. It is here that God desires to dwell. Move 1: Choose the Text. ► A Scripture passage is chosen to dwell on for an extended period of time with the hope that it informs and transforms the way we live in our neighborhoods, networks and third places. ► Before the passage is read, remain in silence. Invite each listener to remain aware of what word or phrase that could captures each hearer’s attention. Feel free to use one of the questions below for reflection. After reading the text aloud allow a few moments of silence following the reading to reflect on a word, phrase, or question. ▪ What word or phrase catches your imagination? ▪ How does this text read us and our world? ▪ What is God doing in this text? What are God’s followers doing in the text? ▪ What is God saying to us through this passage? How are we being changed or transformed in our personal and communal life? ▪ What does following Jesus look like in the text? ▪ How does this text inform us about what following Jesus looks like for us here and now? ► The reader invites each person to share with what we call “a reasonably friendly-looking person-stranger” for a few minutes. In larger community this should be someone they do not know very well or do not talk with regularly. ► Invite each one to take turns listening attentively and carefully to the other. Listen the other into “free speech” regarding their questions and reflections of the text. Listen carefully so that each can share what they heard the other share. “Free speech” means we are not trying to correct one another’s reflection. We are simply allowing people to process Scripture while trusting the Spirit to work. ► After sharing in pairs, each person will introduce their partner and what they heard shared about the text (meaning, challenges, etc.). ► Together everyone listens to identify if there are any common themes or particular reflections that were significant for all present.